Here at Ellutia, you will find a team of passionate, dedicated and extremely talented individuals who love gas chromatography and make it their mission to solve your analytical challenges. Areas of expertise: Gas Chromatography, Product Development, Mechanical Design and Engineering, Business Management. Professional Background: Phillip James has been involved in the gas chromatography field for over 40 years. 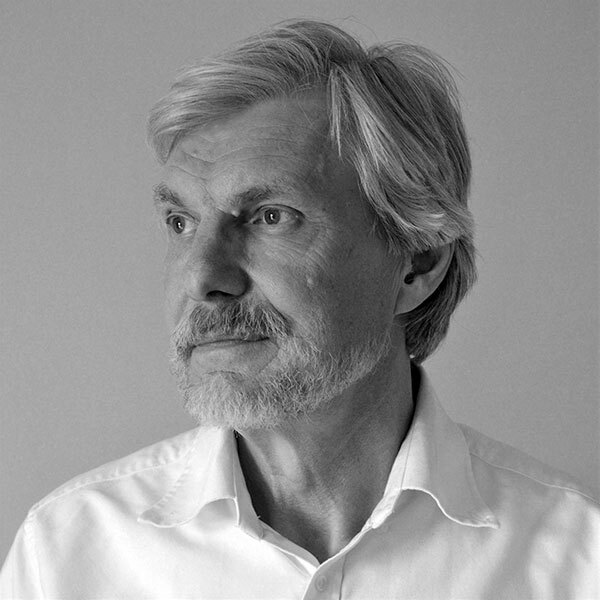 After graduating from Loughborough University in 1976, he began his employment in the chromatography industry as a design engineer at Pye Unicam in Cambridge, which later became Philips Analytical. His career at the company progressed for 18 years, and he eventually became the head of the chromatography division. In 1994 he left this role to start Ellutia. Interesting Fact: Phillip has an interest in classic cars, and is currently restoring a vintage BMW Isetta bubble car. Areas of expertise: Marketing and branding, Project management, Event Planning, Strategic business planning. Professional background: As Phillip James’s son, Andrew has been involved with Ellutia from the very beginning, helping out with development testing during school holidays, before joining full time in 1999 after studying mathematics and chemistry. Andrew has also studied computing at the open university. 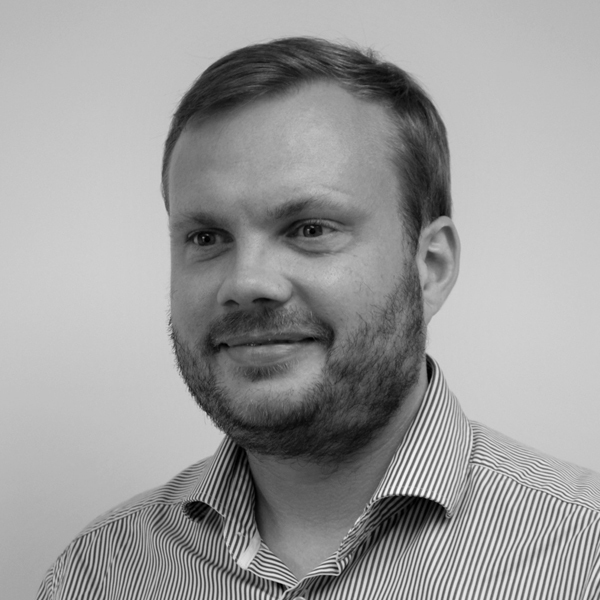 During his time at Ellutia, Andrew has been involved with many aspects of the business, from product development to strategic planning. This wide ranging involvement has developed an extensive wealth of knowledge and experience in the chromatography industry. Interesting fact: Andrew is a Newcastle United fan and season ticket holder, he travels the length of the country every other weekend to watch them play. Areas of expertise: sales and leadership, building and maintaining relationships with customers, distributors and partners. 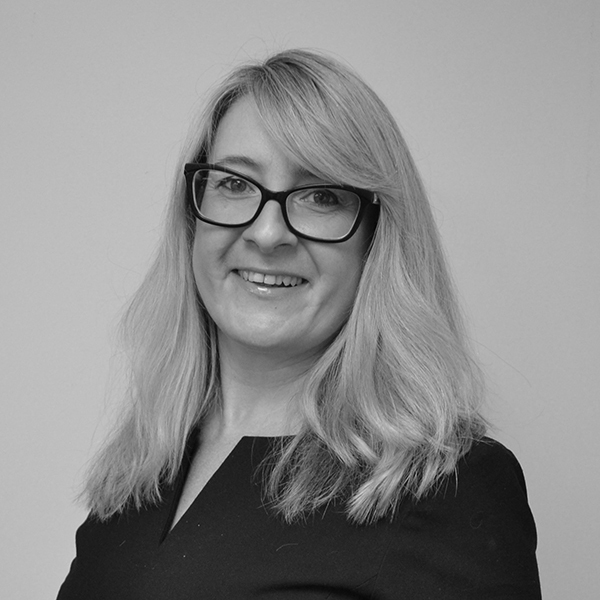 Professional background: 14 years in the aerospace industry, before joining Ellutia in 2002. Avril has also completed an Open University diploma in management. Interesting fact: Avril ran her first half marathon to celebrate turning 40, which was a particular achievement as she suffered with asthma as a child and was never a runner. Professional background : Richard completed an apprenticeship with Pye Unicam (many years ago!) which introduced him to the fascinating world of analytical instrumentation. Richard stayed with the company for 34 years during which time it was acquired/bought/changed names to Philips Analytical, Unicam Chromatography, Thermo to name a few. Richard has worked in the chromatography industry all his working life. Interesting facts : Richard has installed analytical instrumentation in more than 60 countries. He has completed a few daring feats in his life including a loop the loop in a 50 year old plane and celebrated his 60th birthday with an adrenaline-pumping “wing walk.” With a quick Google search, you’ll see wing walks aren’t for the faint-hearted! 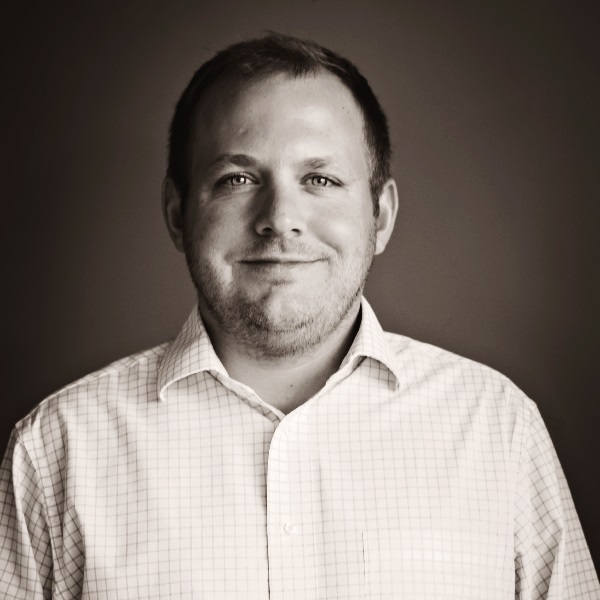 Areas of expertise: Adam runs the US Operations and has over 12 years’ experience in analytical chemistry. Professional background + qualifications : Boston University Pre-Medicine graduate with broad science background. Interesting fact: Moved to Charleston, SC , to pursue a career in plankton research with the South Carolina Department of Natural Resources. Financed microscope for home use. Avid woodworker, lover of outdoor sports, and live music. When not working I am in the water, in the woods or covered in sawdust. 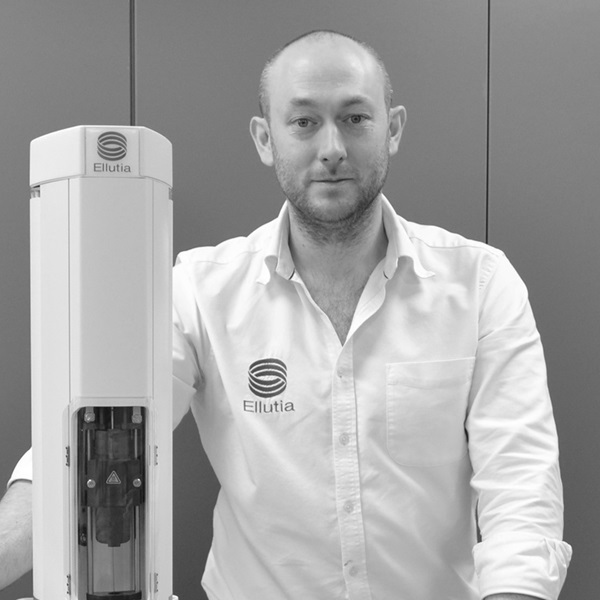 Areas of expertise: Dr Mark Landon has worked for Ellutia for over nine years and joined following a company sponsored post doc at Loughborough University. Since joining Ellutia, initially as a Research and Development Applications Engineer, he has been involved in a vast array of areas of the business and expanded his knowledge into many elements of scientific development and production. He has also played an important role within many of the key projects the company has been involved with in recent years, calling upon his wealth of past experiences and knowledge to ensure the suitable solution is obtained both for the customer and Ellutia. Professional background + qualifications : His further education started with a BSc in Chemistry and Polymer Science from Lancaster University, before moving to Loughborough University where he completed an MSc in Analytical Chemistry and Instrumentation, followed by a PhD in Analytical Chemistry employing Inductively Coupled Plasma Mass Spectrometry for the low level detection of gold and the platinum group metals in refractory matrices. Interesting fact: Wanted to leave university in the first year, but end up spending 11 years! Areas of expertise: German Business Management, Sales, Marketing, Customer Support, Gas Chromatography, Liquid Chromatography, Multidimensional Gas and Liquid Chromatography. 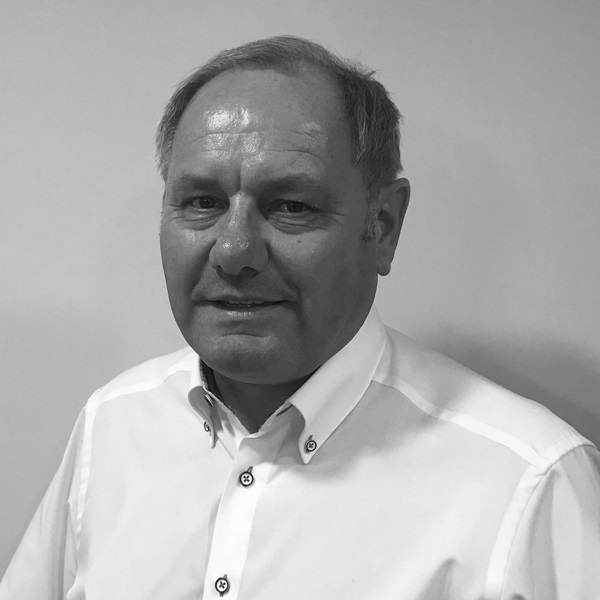 Professional background and qualifications: Nigel Warren has been involved with chromatography all his working life. He graduated from the University of Wales in 1982 with a B.Sc. Honours degree in Chemistry. After briefly working in the water industry, he moved to Cambridge to work for Philips Analytical in 1985. Specializing in Gas, Liquid and Multidimensional Chromatography he moved to Kassel in Germany in 1996 to work as a Product Support Manager for Philips Analytische Systeme GmbH. When Philips sold this activity in the late 1990s, Nigel started his own company along with a colleague from Philips Germany. In 2004 they entered into a partnership with Ellutia in the UK and four years later became part of the Ellutia “family”. 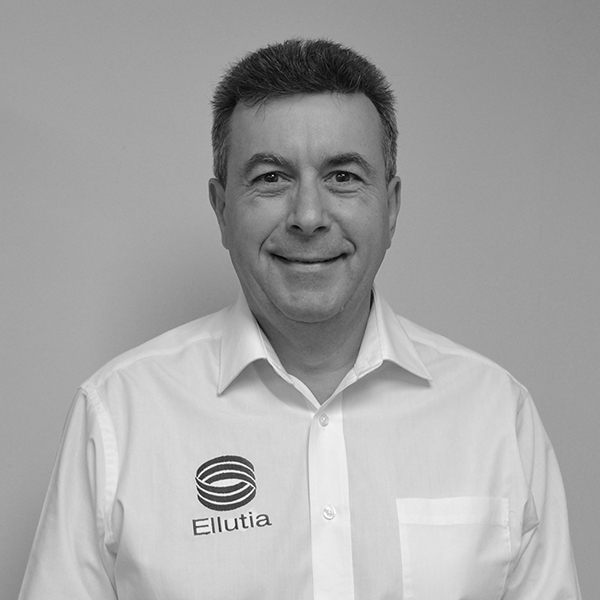 Nigel is Managing Director of Ellutia, Germany and uses his extensive technical and commercial experience to manage the German business and look after German customers. Interesting facts: Nigel has been a keen sportsman all his life. He took up golf at the age of 8 and is now a professional golfer. He is a member of the Professional Golfers Association (PGA) of Germany and when he is not managing the Ellutia German business, he teaches golfers of all standards from beginner to expert. He also plays regular tournament golf. Additionally, Nigel is a keen skier and a qualified English teacher, having taught specialist business English in German companies.